On behalf of the Executive Committee I would like to welcome you to the new Caribbean Partnership. There are many things new about us. The most noticeable is what you are looking at. Which is the revised and informative website that has been upgraded and tailored to meet the needs of everyone in Zone 33, Zone 34 and beyond. Please read on to see who we are and what we are about. Another idea we are especially proud of is something that is really not new, rather it is a “rebirth” of our original purpose. The concept of cultural exchanges, strengthening and reviving friendships, creating new and lasting idea transfers and partnering between clubs has been a goal from our very inception. These ideas,exchanges and most importantly club partnerships are not meant only to occur between the countries of the Caribbean and the Southern and Mid-Atlantic areas of the United States. Our goal is to foster friendships between Clubs, Districts and Zones and to offer projects between and within Districts and Zones. Thank you for allowing me to describe our approach to the new Caribbean Partnership. 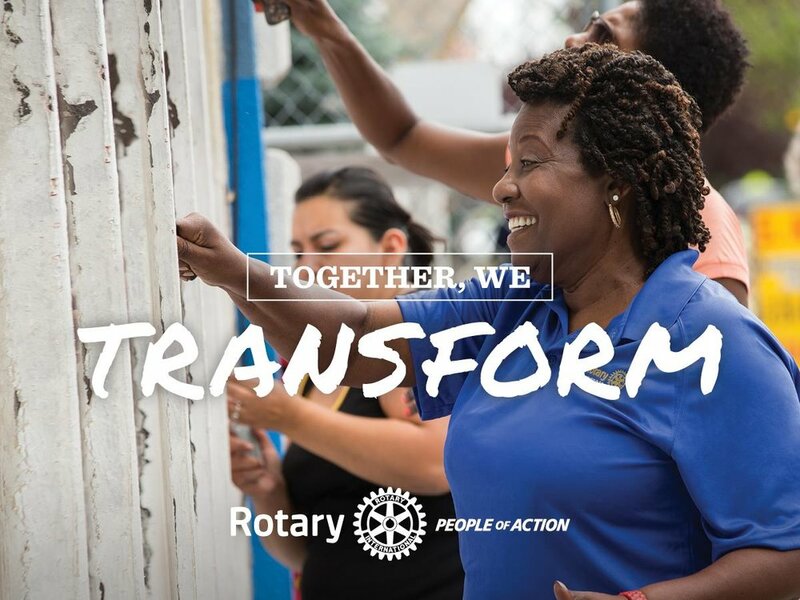 Please join us in making the Caribbean Partnership an organization we can use as a tool to make our Rotary lives and the lives of others better. During the Rotary Centennial year a Twin Club The Rotary Club of Les Cayes Haiti Program was established. Caribbean Partnership is an organization born from the idea of creating alliances between the Rotary Clubs of the US mainland & the Clubs of Districts 7000, 7020, & 7030 (Zones 33-34) representing 25 countries, to develop Rotary relationships that would lead to fellowship which would develop into friendships and doing Rotary’s work together as partners. In 2015 the term “Twin Club” was enhanced to “Partner Club” which reflects the overall emphasis of the Caribbean Initiative. Partner Clubs are two clubs that establish strong ties and have agreed to team up to complete special projects such as Community Service Grants, Friendship Exchanges, and Youth Exchanges. The Partnered Clubs are encouraged to establish an agreement and register with the Rotary Zones 33 & 34. 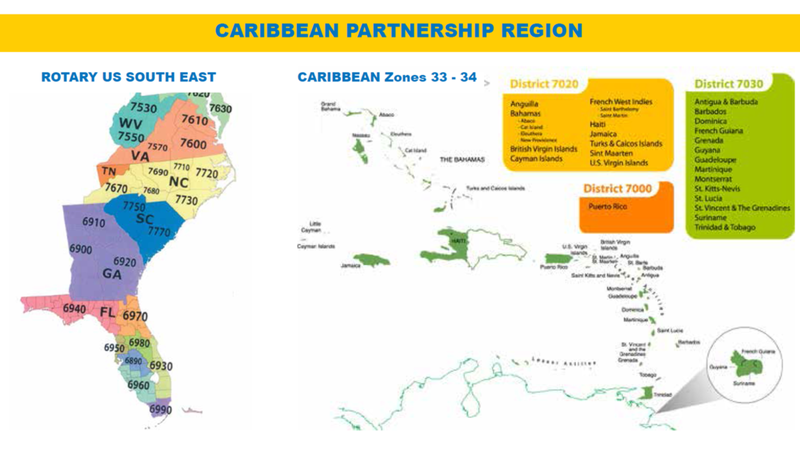 Caribbean Partnership Inc. is incorporated with bylaws, officers and is an official program of Rotary International Zones 33 and 34. We develop relationships primarily between Rotarians of Zones 33 & 34 but generally throughout the Rotary World by sharing fellowship and partnering on projects to enhance communities in need. The partnership of choice consisting of Rotarians working together to foster mutual relationships in the South East USA and the Caribbean region. Although not first responders, we provide the immediate basic and long term necessities of life to individuals and families in affected communities in the event of a disaster.